COLUMBUS — Every spring, Ohio’s dairy farmers tend to their farms by spreading liquid manure across their fields. To alert their communities to the process, and explain the odor, the American Dairy Association Mideast and Ohio Dairy Producers Association are launching a new “Spring is in the Air” ad campaign. Nearly all of Ohio’s dairy farmers live where they work and are committed to maintaining healthy communities. Responsible environmental practices and animal care are essential to their success because they create the foundation for producing the best dairy foods. 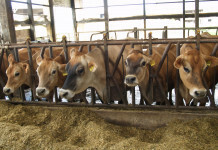 A wide range of environmentally sound practices are used on Ohio’s dairy farms, including manure-management plans, water-recycling systems, conservation tillage, grass, waterways and routine water testing. With these practices, dairy producers raise healthy animals and keep their farms clean and safe. Ohio’s dairy farmers are committed to providing safe, nutritious, affordable dairy foods to all Ohioans. With 276,000 dairy cows, Ohio’s 3,300 dairy farms produce more than 5 billion pounds of nutrient-rich milk annually. Ohio’s dairy industry contributes significantly to the state’s economy, generating $5.9 billion in revenues and providing 14,750 jobs. 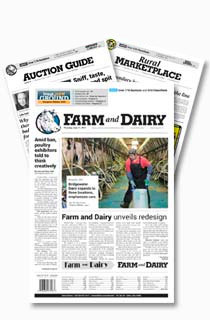 The “Spring is in the Air” print advertisements will run in local dairy farm communities throughout April. Could someone please send this to Martig’s Dairy.. My back yard is 60 ft. from their field that they spread this toxic waste on over and over again. They could careless about their neighbors that have to breathe THEIR Toxins all summer long. The people on Berlin Station Rd. have NO summers we are prisoners in our homes. Martig’s Dairy NEVER turns the field over.The stench is here all summer long, along with the flies. No swimming no walking no gardening no having the grandchildren over to play NO NOTHING! Martigs control our lives and our quality of air. I am not a whinny city girl..I was a famer for over 35 years and never did we ever do this to our neighbors.